The use of indigo dye can be traced several centuries back. The natural blue dye from flowering Indigofera plant was mostly popular in the textile industry. As a matter of fact, blue jean will come to mind whenever you think of indigo. 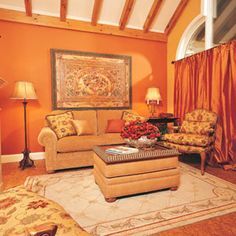 But this color is quickly becoming popular in interior designing. Its versatility is what makes it possible to be applied in different areas even small accents like switch-plate covers, soap dishes and drawer pulls among others. In interior designing, indigo is finding a wide application, especially as paint. It’s a fact that white hue is attractive to many, but Indigo can provide magical finishes that are seeking for when incorporated. The hue can also bring out the best design out of an accent wall. If the wall gets Indigo papered textured design, it adds an amazing color and also a texture that can be built on throughout the interiors. Many interior design experts have observed the psychological effects of indigo color. According to Dalara Holm proprietor of Dalara Design, the hue opens the third eye. According to her, indigo stimulates deep concentration during meditation and introspection times that achieves deeper levels of consciousness. She also goes ahead to point out that indigo stimulates right brain, creativity, and spatial skills. But to enjoy the benefits of this magical hue, you must learn how to use it correctly. Here are tips on how to use Indigo color effectively in interior design. 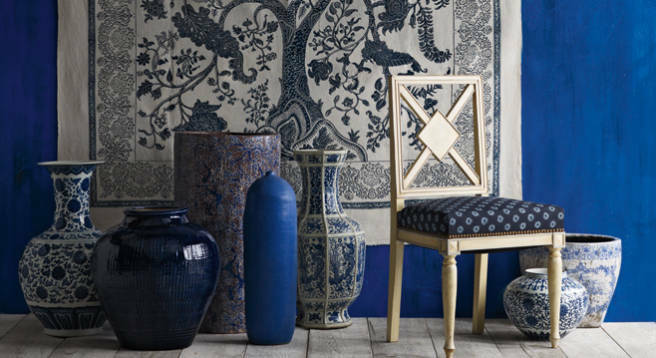 According to Holm, Indigo is an alluring and beautiful accents color for interior designs. To get the best out of it, you can try integrating it in kitchen tile, accent pillow (on the chairs) or breakfast bench. Holm also brings out the aspect of combination to improve effects of indigo. She notes that purple, deep blue or a mustardy yellow will bring out an excellent combination in your place. As an interior designer, Holm advises its use in powder rooms and accent wall, bedrooms and on bed sheets in large spaces. Eric Ross, Eric Ross Interiors proprietor, has his perception and ideas about the indigo application in interior designs. According to him, grayed dark blue paint is more pleasing especially with texture. For an indigo wall, I will go to a grasscloth color since it has more variable shades, he says. He also notes that an indigo fabric can be used to produce a more dimensional look. Ross also offers a great tip: Don’t overlook art – it can change the whole perception of your living space. Complimentary color improves the quality of the original color, and this goes to Indigo. Ross suggests that a purple shades and indigo combo can have a greater serene effect. Turquoise is another great option that would produce amazing energy, he says. For Indigo kitchen equipment such as tea kettle, ovens, and other cookware, Ross suggests the addition of orange or turquoise color to soften their masculine look. To prove the flexibility of indigo to color complementary, Eric is designing a master bedroom using tan and indigo as the primary colors. If you play smart with complementary colors, then you will significantly improve the serenity effect of indigo. The bottom line is that Indigo is a great color for interior designs. The hue can be both exciting and calming depending on its placement in a space and its tone. It’s a color that works for all genders, races, design styles and ages. As a homeowner, you definitely want to get the most out of your space. You obviously have a living room in your home. This room is meant to keep you and your guests entertained. Unfortunately, if your living room is not up to the modern standards, you may not be able to entertain yourself and your guests as much as you want. It may be time for you to make a few changes. You living room is the place where you and your guests spend most of your time in. This makes your living room decor very important. The living room is also the space that you can use to show your sophisticated style to the world. It should reflect your personal style and taste as well as be appealing to anyone who visits your home. People who spend their time in your living room should be comfortable and they should also feel at ease. If you want to make a statement with your living room’s décor, one of the most important things that you need to do is modernize the whole space. This should start by getting rid of all the clutter present. Your living room should be spacious and should be as open as possible. If there are certain things that you have to store in your living room (e.g. books, DVDs etc. ), you should find storage units that can serve other purposes or that can close. For example, you can use an end table that can also provide storage space for your movie collection. Such a table not only performs its primary function, it will also make your living room feel less busy. A modern living room must be bright and well lit. If your living room is not well lit, you should add some lamps to increase the amount of light. You should also consider installing overhead lighting, cable lighting or rail to your ceiling. The lighting installations will not only increase the amount of light, they will help to create a very modern look. Modern furniture is more appealing because it is characterized by bold colors, elegance and simple design. They say the bolder your furniture the better. This is true especially if you have a white carpet or white walls. However, you should never chose style over comfort. You have to be ensure that the type of furniture you are choosing will make you and your guest very comfortable every time you are spending time in your living room. Feeling good is always better than looking good. Your guests will be happier when they are comfortable in your living room. Every living must have some form of art. If you like paintings, photographs or sculptures, your living room provides the best space for you to display them. When you display your pieces of art, make sure that you place them in areas that are well lit. Make sure that they can easily be seen without a lot of glare and shadows. Don’t let your living room’s décor get out of hand by trying to be too modern. Keep in mind the fact that your living room is an entertainments room. It is always a good idea to avoid extremes. You should be colorful and bold while still focusing on creating a sense of space. If you need help with decorating your living room, you should feel free to hire a professional interior decorator.